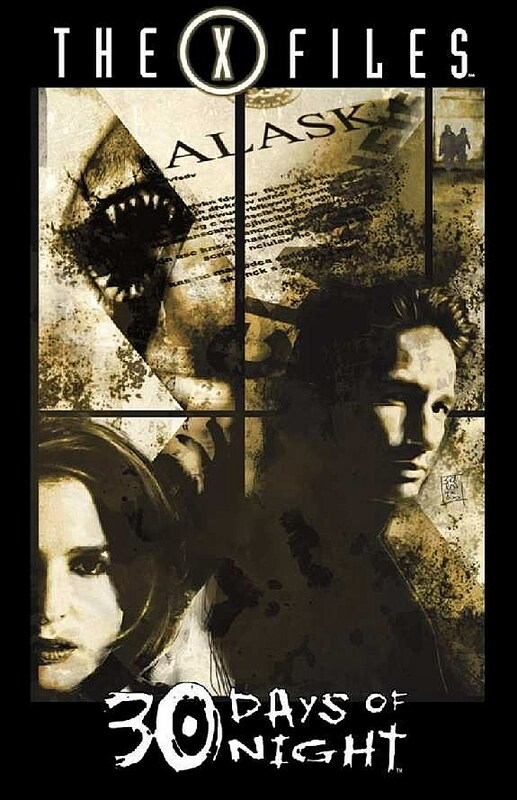 The classic '90s sci-fi TV show "X-Files" has inspired its share of comics over the years, but as we learned at C2E2 yesterday, Special Agents Mulder and Scully will soon be heading back to comics this for a special story: "X-Files/30 Days of Night." The six-issue miniseries will find the two paranormal investigators arriving in Barrow, Alaska for a murder case just as the town's month of total darkness descends. And as fans of Steve Niles and Ben Templesmith's vampire comic "30 Days of Night" will recall, no good tends to come of that. The series will be co-written by series creator Steve Niles and Tool guitarist Adam Jones with art by Tom Mandrake, and will pair not only the two franchises, but their respective comics publishers, Wildstorm and IDW Publishing. Splash Page revealed the first image from the series, shown above, and Wildstorm promised more details to follow. "I'm a huge 'X-Files' fan, and when the crossover was presented to me, I lunged at the chance," said Niles. "It's actually a very good match, I think, because the vampires in '30 Days' have a real-world feel to them, they are not affected by crossed or garlic or any of the common folklore which lends itself nicely to the 'X-Files' universe."